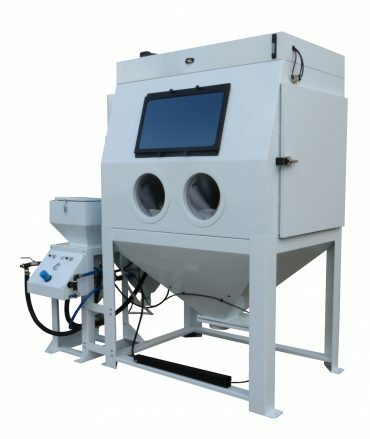 Media Blast offers three soda blast models ranked in different stages for different daily operation. This is also known as the machine duty cycle. The N-200 Stage II Soda model is also available in three cabinet sizes and includes the ALL-NEW ASME Coded 0.8 cubic foot soda delivery system with easy to use control panel and GhostFlow™ Soda Delivery System. 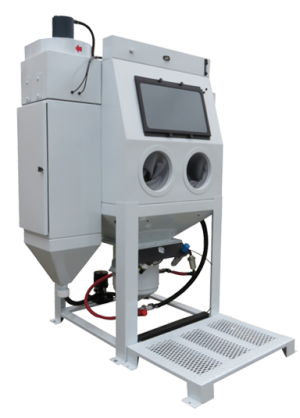 The ALL-NEW N-200 Stage II Soda Blasting cabinet is one of the most popular of the three (3) stages using larger cabinets and larger dust collector sizes. This allows the user to operate longer and add optional part handling features when needed. 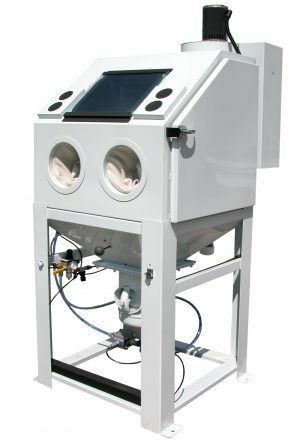 All Media Blast soda blasters use the new GhostFlow™ soda delivery system, ClearView™ Window Sweep and Patented Abrasive Separator Reclaimer. 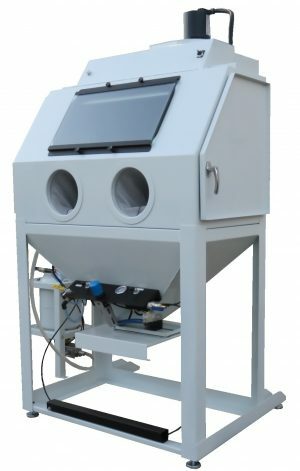 Downdraft Cabinet Airflow and GhostFlow™ Soda Delivery with Used Soda Dropout Collection are what make Media Blast the leader in soda cabinet manufacturing. Choose the best cabinet size for your application, 3636, 4836 or 4848, each includes the all-new 0.8 c.f. Soda Delivery System with Easy to Use Control Panel. 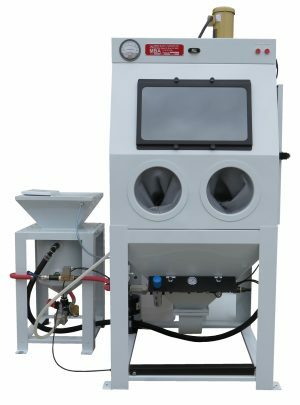 If you’re not sure whether the N-200 Stage II Direct Pressure Soda Blasting Cabinet is the best fit for your needs, check out our Buying Guide or give us a call - our goal is to help you buy the right machine the first time!